Aurum Exploration Fiji Ltd’s executive Derek Qiu confirmed they did not deal with the landowners to discuss lease conditions. “We only dealt with Government and not the landowners,” Mr Qiu said. At the meeting, Mr Kaidawa said they were not aware of the goodwill agreements made from the leasing of their land nor they had any documents containing the lease arrangements between them (landowners) and the mining company. He told the committee the onus was on the Land Bank Unit to provide them with these important documents. He said so far, the landowners did not understand what part of their submissions had been formally included into the lease as part of the lease arrangements between them and the company, or what was agreed to as part of the lease. Mr Kaidawa said this was why people continued to question and doubt the whole project, adding they did not have a clear idea of where they stood as landowners. When committee chairman Joeli Cawaki enquired if it was the same situation for the remaining three landowning units, Mr Kaidawa said they were all in the dark. In an interview, Mr Naicegucegu said they would dispatch copies of the lease arrangements to the standing committee and the landowning units. Earlier, a report tabled to the standing committee heard that the four landowning units in Nawailevu had already received $400,000 of about $1.5million paid to them. 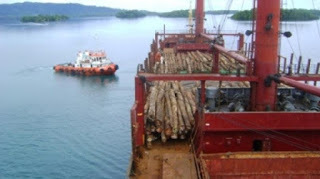 PNG ready to blow any hopes of a climate friendly future on dirty coal? Vailala River, Gulf Province, Papua New Guinea. An Australia-based miner says its drilling efforts in a 1.5 square kilometre-area in Papua New Guinea has revealed there is enough high quality coal to run a 50-megawatt power station for 30 years. 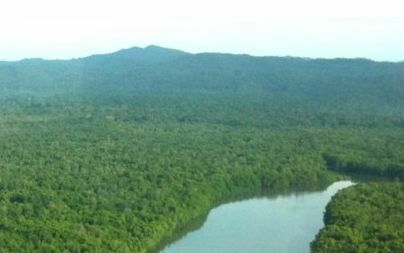 Mayur Resources has rights to explore a 120 km stretch of land in Gulf Province, close to the Purari and Vailala rivers. 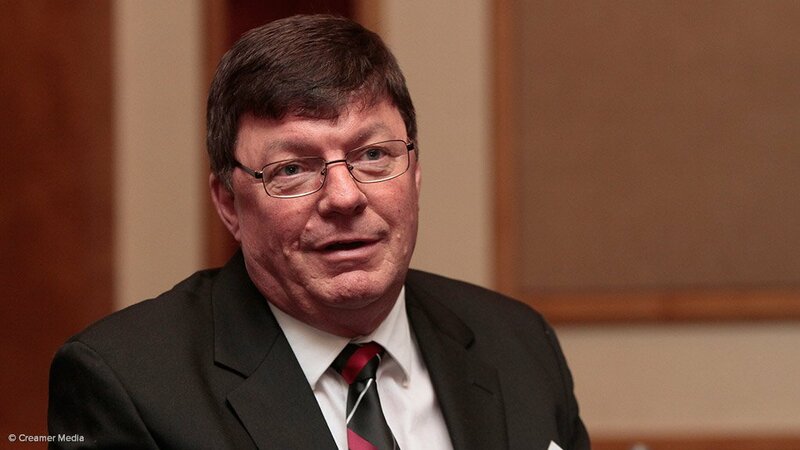 Its chief executive officer Paul Mulder told Business Advantage PNG , that if his company keeps drilling as it intends to, the next five to 15 kilometres will reveal tens of millions of tonnes of coal. He adds that the coal is some of the cleanest coal in the world, with low ash and sulphur levels. The company is planning for the mine to be open cast, shallow at the surface, using local workers to provide the majority of the support required, he says. Mr Mulder says a 50-megwatt power station would help fulfil the government’s stated aim of providing electricity to 70% of the country, from the current level of 11%. In a world where new discoveries are rare, Harmony Gold is encouraged by the prospect that Kili Teke could well develop into another major copper-gold discovery, commented CEO Graham Briggs. Additional drilling at the JSE-listed miner’s Kili Teke prospect in the Hela province, in Papua New Guinea (PNG), has returned porphyry copper-gold-style mineralisation, similar to deposit grades outlined for the company’s Frieda River and Ok Tedi projects. Copper-gold mineralisation, defined by a 0.2% copper envelope, outlined over 600 m of strike, in excess of 200 m wide and extended 700 m below surface, grading at 0.72 g/t of gold and 1.02% copper. Kili Teke’s early exploration drill results, including its KTDD013 and KTDD007 holes, yielded 0.55% copper and 0.43 g/t of gold. The miner advised that more upside potential existed at its 100%-owned exploration licence, with mineralisation being open at depth and along strike, while drilling to scope out the extent and geometry of the system was still ongoing. “The latest drilling results are extremely encouraging and confirm that this asset is yet another fantastic copper-gold find by Harmony in PNG. The mineralised footprint is growing as the drilling progresses with zones of higher-grade stockwork mineralisation and intervals of mineralised skarn breccia developing within the broader envelope,” outlined Briggs. 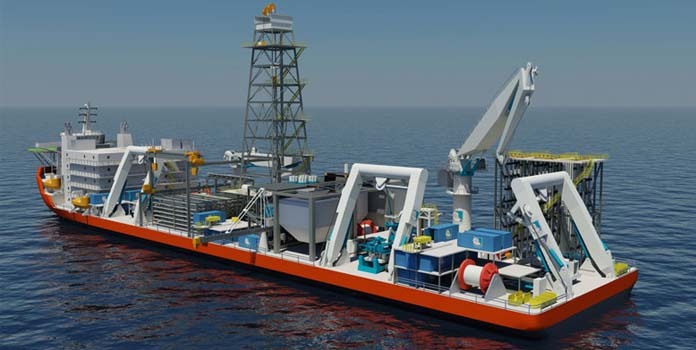 Prospective seafloor miner Nautilus Minerals has awarded a contract for the detailed design of the Solwara 1 dewatering plant to be used on the company’s production support vessel to the Brisbane office of the global consulting engineering firm DRA Group. The scope of work awarded to DRA involved the detailed design of the vessel-mounted material processing facilities. With a design capacity of 400 t/h, the plant would include screening the seafloor massive sulphides into a number of size fractions, followed by dewatering using centrifuges and filter presses, eventually filtering to eight microns. The combined dewatered product would then be temporarily stored in the vessel’s hold, before transhipment by Handimax vessels to Nautilus’ processing partner in China. The remaining filtered water would then be returned through the enclosed riser system to drive the subsea lift pump and discharged within 50 m of the seafloor from where it originally came. The detailed design phase was expected to be complete by the fourth quarter, following which the vessel-mounted modules would be fabricated and precommissioned onshore before integration onto the completed vessel. Construction of the process plant was expected to start early next year, with first production from the Solwara 1 project, offshore Papua New Guinea (PNG), being scheduled for 2018. DRA had accumulated significant specialised experience from its offshore diamond recovery projects off the coast of southwest Africa. DRA regional director Donald Holley explained that this experience included overcoming the challenges in designing and operating process plants mounted on ships, resulting particularly from the impact of the dynamic environment from wave movement, and the need for modular construction. The company was in the process of pioneering the concept of mining the ocean bed for copper, gold, zinc and silver. Using a trio of submersible robots, Nautilus was intent on recovering high-grade polymetallic seafloor massive sulphide (SMS) deposits at 1 600 m below the surface of the Bismarck Sea, within the Western Pacific Ocean’s Rim of Fire. The operation aimed to produce ore at a rate of more than 1.3-million tons a year, with the capacity to ultimately ramp up to 1.8-million tons a year of dewatered ore, which would be delivered to the PNG Port of Rabaul. The Solwara 1 project team in 2007 reported the world’s first SMS resource statement after it drilled a National Instrument 43-101-compliant resource using newly developed, remotely operated drills. As of November 25, 2011, the Solwara 1 project had an indicated mineral resource of one-million tons, grading 7.2% of copper, 5 g/t of gold, 23 g/t of silver and 0.4% of zinc. Its inferred resource comprised 1.54-million tons, grading 8.1 % of copper, 6.4 g/t of gold, 34 g/t of silver and 0.9% of zinc. The Pacific coalition inclusive of partners with the Bismarck Ramu Group (BRG) in Madang, Papua New Guinea, and regional NGO, Pacific Network on Globalisation (PANG) supports the international call. PANG’s Media and Campaigns Officer, Joey Tau says it is risky for the Pacific region as work on this experimental process of mining our seafloor is progressing faster than the science can catch up. “Over 1.5 million square kilometres of ocean floor within Pacific EEZ’s is already under exploration leasehold in the Pacific Ocean alone and the ISA has approved 27 exploration licenses for deep sea mining in international waters,” said Tau. Hey say it is disappointing that exploration in the Pacific has taken place with no proper understanding of the environmental impacts of exploration, let alone full scale exploitation of resources. In addition the free and prior informed consent of customary land owners have not been considered in the rush to mine minerals on the seafloor. BRG coordinator, John Chitoa, shared similar views, adding that terrestrial mining in PNG and the region have proven disastrous, thus we should not touch the sea which is our heritage, our identity, and our existence. “The risks and impacts of this experimental mining are still unknown and Pacific people must be properly consulted before any work is carried including exploration,” said Chitoa. New Zealand has rejected two marine applications to mine the seabed while the Northern Territory of Australia has extended the imposed moratoriums (which have later led to respective bans). 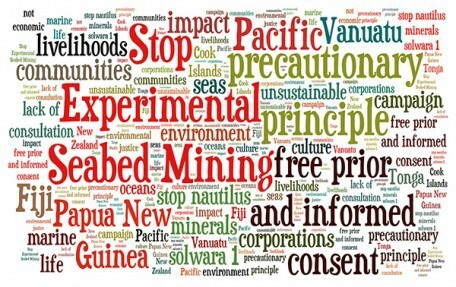 All of these decisions based on the lack of clear scientific understanding of the impact of seabed mining and therefore the strictest application of the precautionary principle, as well as the potential impact of livelihoods and customary practices of indigenous communities who are custodians of these resources. Chitoa argues that both cases from New Zealand and Australia should be precedent cases for the Pacific, especially PNG to follow. The coalition adds that the issue of deep sea mining is not just for scientists and mining companies. The debate has to be much broader and completely transparent. There is insufficient scientific data about the impacts of experimental deep sea mining, no regulatory frameworks in place to govern mining operations and the capacity to enforce such frameworks does not yet exist. 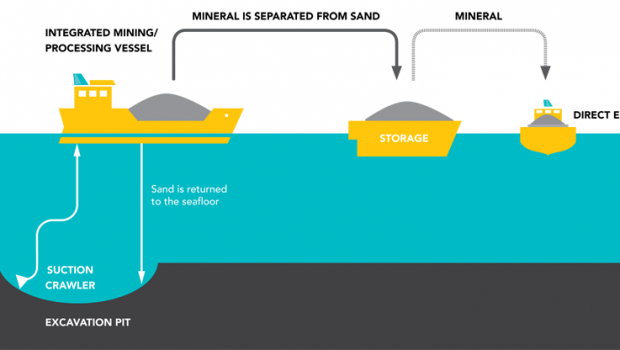 However, despite the abundance of seabed minerals, scientists from across the globe urged the ISA to temporary halt the granting of new mining contracts until areas of “marine protected areas” are established near areas set aside for mining. Both the commercial and conservation issues related to deep sea mining were discussed at an ISA forum earlier this month. Deep seabed mining activity has increased sharply over the past five years as there is a rising demand for cobalt, copper and gold, elements required in manufacturing smartphones. This demand has led the International Seabed Authority (“ISA”), the United Nations agency established to organize, regulate and control all mineral-related activities in the international seabed area beyond the limits of national jurisdiction, has issued 27 exploration contracts to date. The majority of these 15-year contracts were issued since 2011 and allow for mineral surveying on greater than 390,000 square miles of seabed in the Indian, Atlantic and Pacific Oceans. Douglas McCauley, an ecologist and conservation biologist at the University of California, Santa Barbara, has stated that current proposals for the world’s oceans in the near future “look uncomfortably similar to what [people] did to land in the 1700s and 1800s.” He also noted that the increase in land-based industrialization caused an increase in animal extinction rates, and that increased deep sea mining would likely do the same. Despite scientists’ warnings, the ISA recently granted its latest exploration contract to China Minmetals Corp., sponsored by Beijing. This 28,100 square mile permit in the Pacific Ocean makes China the country with the most permits from ISA, totalling four. The United States is not a member of ISA as Congress has argued its policies could potentially impinge on U.S. military and economic sovereignty.